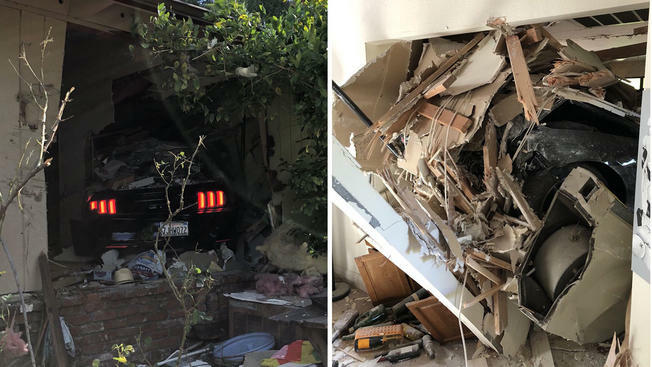 A car slammed into a house in Lafayette Thursday morning, according to police. First responders pulled one person from the damaged vehicle and transported them from the scene along Glenside Drive to a local hospital, police said. The person's condition was not immediately known. Crews stayed on scene to inspect the structural integrity of the house, police stated.